Disney's animated phenomenon, "Frozen," may not have been a heartwarming tale of sisterly love if its creators stuck to the film's original planned ending. "Frozen" producer Peter Del Vecho tells Entertainment Weekly the original version of the film was more in line with the Hans Christian Andersen tale on which it's based. 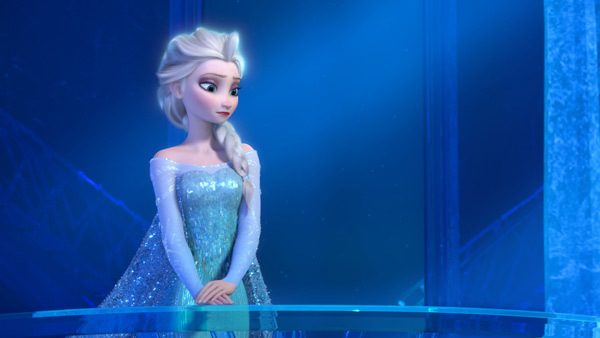 Del Vecho says princess sisters Anna and Elsa weren't related in early scripts. He says "Elsa was a self-proclaimed Snow Queen, but she was a villain and pure evil." The drafts included a finale with Elsa using her powers to save the kingdom, but Del Vecho says the character's evilness gave them "no emotional connection" to her. The filmmakers finally got things right after reworking the script. A sequel to the film is in production.